The beachfront Cockburn Town, Grand Turk. Cannons at the Government Offices Plaza in Cockburn Town. Check out Top Things to Do on Grand Turk for some more great ideas on attractions and activities. The island and cruise ship destination of Grand Turk has a number of fun places that are free or inexpensive to visit. Spending your stop at the Grand Turk Cruise Center may initially appear like a cheap way to spend the day, but the prices at the restaurants and shops adds up fast. There is a number of “shore excursions” offered to cruise ship guests, yet many of these snorkelling and tour adventures start at about $100 per person. First and foremost is island transport. The distances between the sights of Grand Turk are just a little too far to walk, so if you’d like to do more than lounge at the beach near the port or browse the shops of the Grand Turk Cruise Center, you’ll have to arrange island transport. There’s no public transport on Grand Turk, and taxis area expensive, so the best value will be to rent a scooter or a typical car. Rates start at about $60 per day for a scooter, and $75 for a car. Specialty vehicles such as golf carts, 4x4 buggies and even bicycles are available (and fun! ), yet prices tend to be a bit higher. Renting a car or scooter will allow for a day of exploring the island, beaches, and sights with very little additional expense. With your own transport, you’ll also be able to spend time where you want to, and not be tied to a group tour. Near Cockburn Town, there are several grocery stores and small restaurants, where cold drinks, snacks, and lunch can be had for much lower prices than at the Cruise Center. A snorkelling reef off of a beach on Grand Turk. Without question, the best free attractions in the Turks and Caicos are our incredible beaches. All beaches in the Turks and Caicos up to the high tide point are public and free to access and use. This doesn’t guarantee access across private land, but it does mean that you don’t have to pay a cent to enjoy the sand, sun, and crystal-clear water. Nearly every coast on Grand Turk has at least one convenient beach access and plenty of adjacent space for free parking. Our top beach recommendations are Governor's Beach, the Cruise Center Beach (SunRay Beach), Cockburn Town Beach, and Pillory Beach. If you don’t have island transport or want to rent a car, the Cruise Center Beach is nevertheless beautiful. Head north (towards the cargo pier that’s half a mile (.8km) away) for less crowds and better beach. 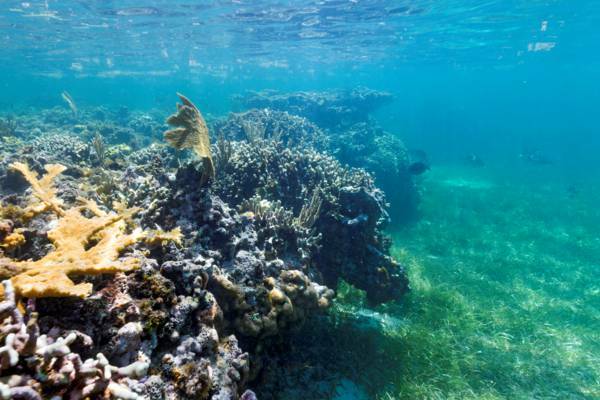 Grand Turk doesn’t quite have the beach snorkelling sites that are found in the larger Caicos archipelago, but there are some interesting reefs and underwater sights. If the weather’s unusually calm, the small reef northeast of Boaby Rock Point offers the best shore snorkelling location on Grand Turk, with vibrant coral, yellow sea fans, and schools of colourful reef fish. Check our wind and wave forecast page. Boaby Rock Point is exposed to the regular eastern trade winds, so it may be choppy if it’s a breezy day. If projected wind speeds are under 10-12mph (16-19kph), chances are that underwater conditions will be good at this beach. Cockburn Town Beach and Pillory Beach are typically more sheltered and have interesting snorkelling as well, albeit not quite as vibrant as the reef at Boaby Rock Point. Sea salt at Hawkes Nest Salina on Grand Turk. 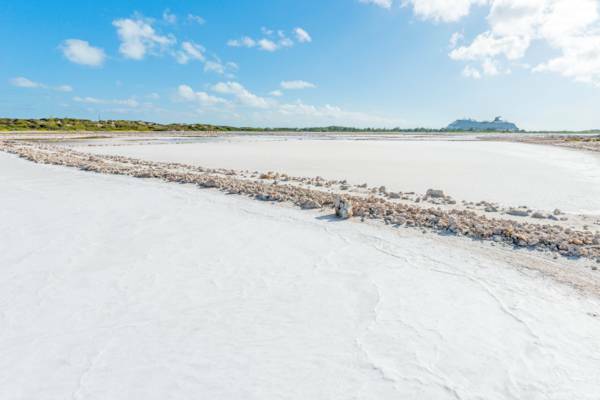 The sea salt industry was a defining part of the Turks Islands history, and the remains from this enterprise, the shallow salt salinas, water inlet gates, and windmill pump bases, can still be seen today. There is no established centre or attraction for this part of Turks and Caicos heritage, just open pond and flats that are free to explore. The salina near Cockburn Town offer the best remaining salt infrastructure sights, and Hawkes Nest Salina near the Cruise Center has the best display of crystalized sea salt. The small oceanfront Cockburn Town is also fun to explore. We advise finding a spot to park (free), and navigating on foot. There are small beaches with crystal-clear water, British Bermudian Colonial architecture, and old villas. Some of the more prominent structures include the Post Office and the adjacent Government Offices Plaza with 1700s cannons, the Grand Turk Masonic Lodge, and the Victoria Library. A drive on Lighthouse Road is also worthwhile. The road follows northern ridge on Grand Turk, and there are great views of the ocean, and Gibbs Cay can also be seen to the east. At the conclusion of this route is the Grand Turk Lighthouse. There’s a minor fee to enter the grounds and coastal cliff path (recommended), but this 1852 structure can be seen well from the road. 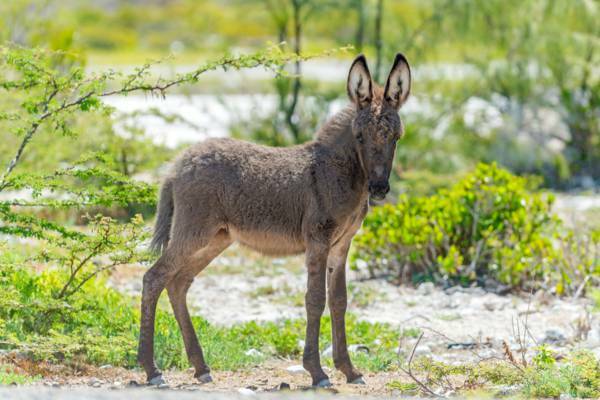 The shallows and wetlands at the western side of the inlet to North Creek are also beautiful, and a great place to see the friendly Grand Turk donkeys. The saline environment vegetation is fascinating, and some of the groundcover here is an amazing vibrant yellow and green hue. North Creek is a great place to sea coastal bird life, including ospreys, reddish egrets, brown pelicans, tri-coloured herons, and great egrets. Baby donkey at North Creek on Grand Turk. There are a few attractions that have an entrance fee, yet the price isn’t too high. The Turks and Caicos National Museum is one such example. 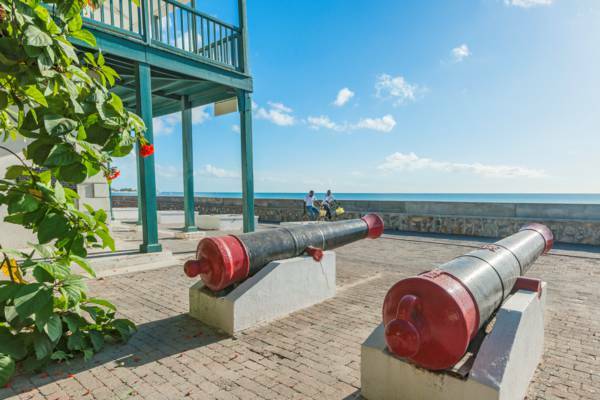 This historical collection is housed in the colonial Guinep House, and includes artefacts and displays on the Taino people, the oldest excavated European shipwreck in the New World (found near West Caicos), the salt industry, ship salvaging and more. Her Majesty's Prison on Front Street is another interesting stop. Now a tourist attraction, this Victorian-era complex was once the centre of criminal justice system in the Turks and Caicos. The Grand Turk Lighthouse grounds are worth the entry cost as they also allow access to a coastal trail that overlooks the scenic North Reef and the abandoned U.S. Navy NAVFAC 104 Base.